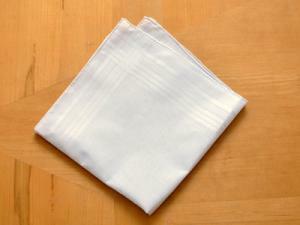 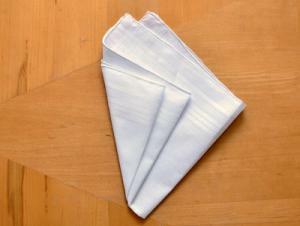 The Men's 2-Point Handkerchief Fold is a conservative fold best used when attending a formal occasion. 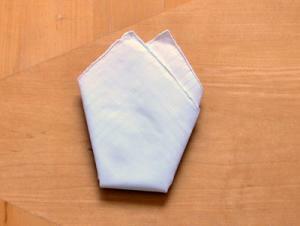 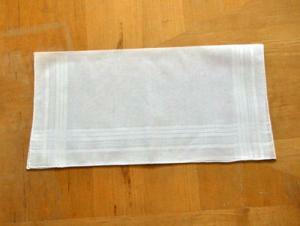 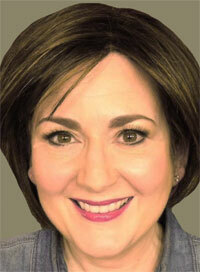 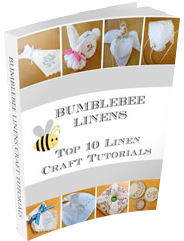 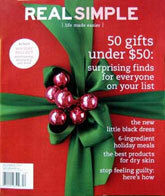 This fold works best with a starched handkerchief. 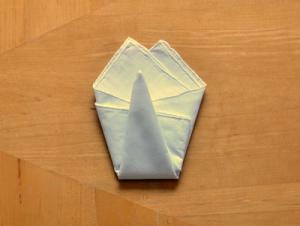 Fold the left side over towards the right about half way in. 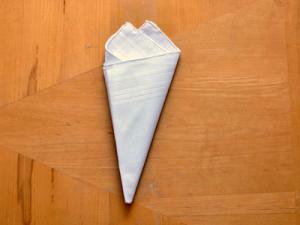 Fold the bottom point half way up. 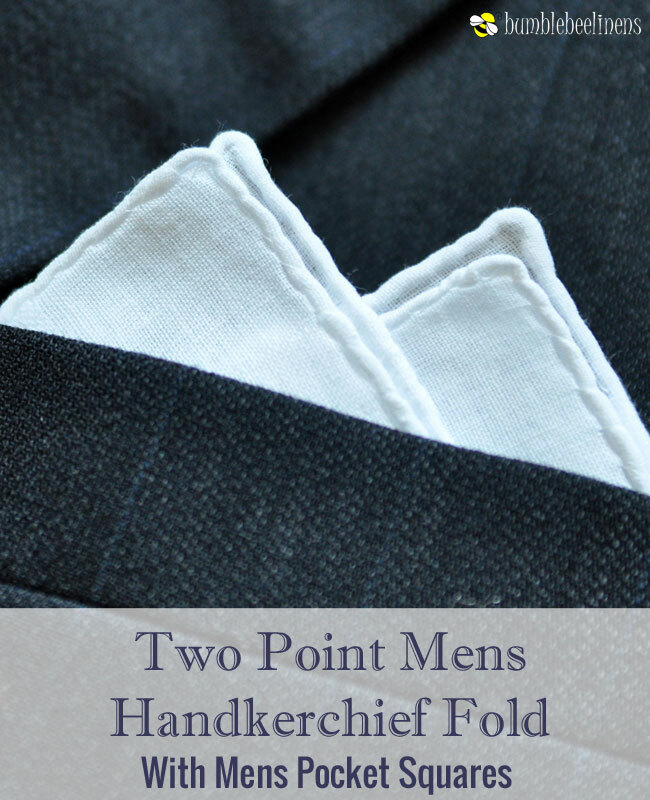 Turn over the handkerchief and tuck into your suit pocket with the 2 points sticking out no more than 1-1.5in above the edge.